192 Seiten, 51 meist farbige Abb. The display of artefacts always implies an external mediation that influences, and often codifies, the reception of the exhibits. Objects are manipulated, restored, appropriated, staged, in short displayed, through various representational strategies that include pedestals, labels, and showcases. These elements, that we could define as parerga, are often ignored because of their utilitarian function. Yet, they play an important role in the history of the artefacts and define the setting in which the objects can exert their agency. They not only shape their meaning, but also determine the effect that these artefacts have on their viewers. Framing devices create the conditions for interactions between the individual and the object to take place. 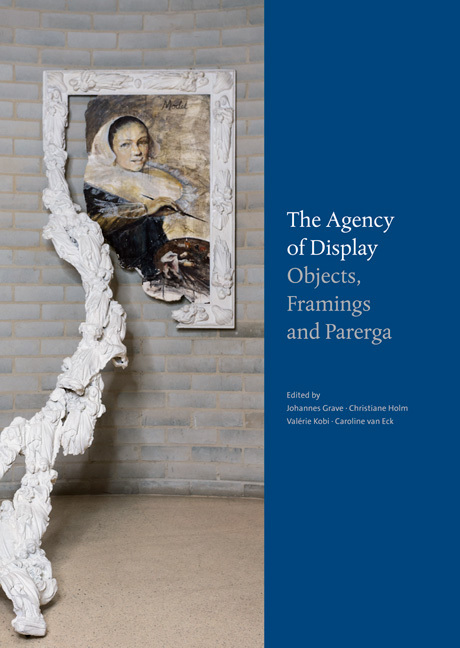 This publication aims to explore the relation between artefacts and viewers as they are manifested in framing devices, and to develop a new theoretical framework for thinking about the power of objects on display.